Chevy has been establishing itself as one of the premier truck makers for years. While this is surely a good thing for customers, it also means they’ll have tough decisions to make when it’s time to make a purchase. We’ve detailed all of the brand’s 2019 pickups, providing you with some insight before you make a purchase. Some customers may automatically ignore this nameplate since it’s the brands smallest offering. Don’t be this kind of person. 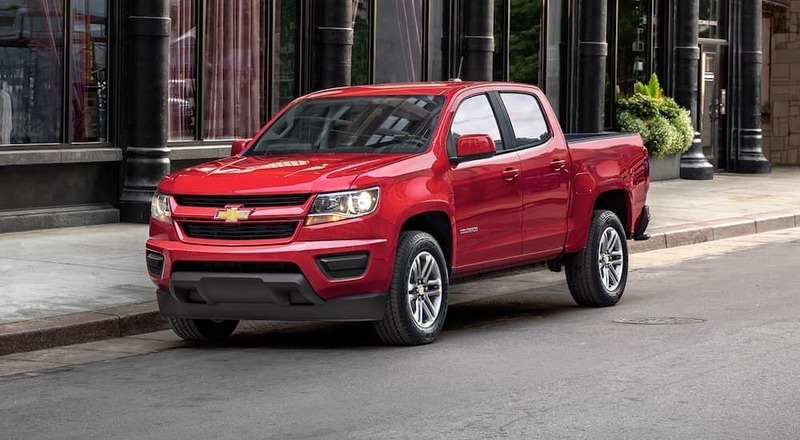 If you are, you’ll be missing out on all of the amenities that make the Chevy Colorado one of the most beloved pickups in the entire industry. It starts with the brand’s three incredible engine offerings, each of which deliver unmatched power and surprising efficiency. The 2.5-liter four-cylinder engine is the standard offering, but it still manages to pump out 200 horsepower and 191 pound-feet of torque, leading to a 3,500-pound towing capacity (of course, the 26-mile-per-gallon highway fuel efficiency is another desirable attribute). The 3.6-liter DOHC V6 engine is the next step up on the list, with the system being capable of delivering a best-in-class 308 horsepower and 275 pound-feet of torque. This leads to a practically unmatched 7,000-pound towing capacity. 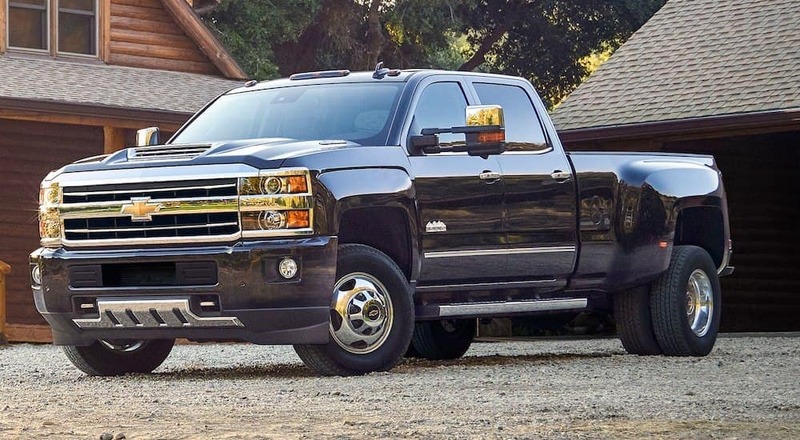 Finally, the Duramax 2.8-liter Turbo-Diesel engine proves to be one of the most unique offerings in the entire class, pumping out 181 horsepower and a best-in-class 369 pound-feet of torque. Thanks to this latter spec, drivers can also anticipate a best-in-class 7,700-pound towing capacity. Most impressive is the fuel efficiency, as drivers can expect a best-in-class 30-mile-per-gallon highway fuel efficiency. Of course, the Canyon provides a number of additional incentives. The built-in 4G LTE Wi-Fi hotspot will provide a strong wireless internet connection to all of your occupants, while the infotainment system will provide all of the applications a driver could possibly need. It’s pretty clear that the 2019 Chevy Colorado is keeping up with its fellow Chevy trucks, explaining why customers shouldn’t dismiss this nameplate during their truck search. Chevy has released a brand-new variation of the beloved Silverado pickup truck in time for the 2019 model year. The new vehicle is described as “bigger [and] stronger” and these attributes are emphasized in the nameplate’s accompanying specs. “Bigger” can be emphasized by the incredible 62.9-cubic-feet of bed volume, which is more than enough space to fit all of your cargo. The vehicle also delivers a best-in-class bed width and a best-in-class bed length, meaning you’ll be able to squeeze in any package or tools, regardless of their size. Add in the high-strength steel, numerous tie-downs, tailgate and storage options, and the various convenience functions (including the upgraded CornerStep footwells), customers will be hard pressed to find a more impressive truck bed elsewhere. Of course, the all-new Silverado delivers so much more. “Stronger” is emphasized by the five available engine offerings, each of which provide drivers with their own unique blend of power and efficiency. The 6.2-liter V8 engine is one of the more impressive offerings, as it teams up with a 10-speed automatic transmission to pump out 420 horsepower and 460 pound-feet of torque. Even the smallest offering, the 2.7-liter Turbo engine, manages to deliver impressive muscle specs; the unit is ultimately capable of delivering 310 horsepower and 348 pound-feet of torque. Despite all of that power, drivers will never have to worry about their safety. That’s because the Silverado is equipped with a number of safety functions. Inclusions like the high-strength steel will assure that the vehicle doesn’t compromise during a crash, while features like the Auto Grade Braking and Rear View Camera assure that you won’t find yourself in an accident to begin with. The name Silverado has clearly been kept around for a reason, and most of that has to do with the vehicle’s reliability and consistency. In fact, the vehicle took home the 2018 “Most Dependable Large Light Duty Pickup” award from J.D. Power, and it won the accolade for good reason. Why is it so dependable? That’s because the Silverado provides everything a driver could possibly want from a brand-new pickup truck. The nameplate delivers a number of interior amenities, highlighted by the seven- or eight-inch color touchscreen display and the accompanying Chevrolet Infotainment System. There are also available USB ports and 110-volt power outlets, assuring that you can keep your gadgets fully juiced at all times. Of course, the pickup also contains all of the technological amenities you could possibly want in a pickup truck. The infotainment system delivers amenities like Apple CarPlay and Android Auto, while the 4G LTE Wi-Fi provides a strong wireless internet connection to up to seven devices. There are also an array of safety functions, assuring that all of your occupants remain protected at all times. This heavy-duty truck is known for its power, and rightfully so. We’d be remiss if we didn’t specifically focus on the engine offerings, although it’s worth noting that the Silverado HD is equipped with all of the features and amenities that customers have come to expect from the brand’s pickup trucks. You’re going to have some tough decisions to make as you’re choosing between the nameplate’s two available engine offerings. The Vortex 6.0-liter V8 engine is the smallest of the two offerings, although there’s certainly nothing small about it. The system cranks out 360 horsepower and 380 pound-feet of torque, leading to a 14,400-pound towing capacity (on the 2500HD). Meanwhile, the hulking Duramax 6.6-liter turbo-diesel engine takes those power specs to a whole new level. The system is capable of delivering up to 445 horsepower and 910 pound-feet of torque, and the accompanying six-speed Allison automatic transmission makes the pickup surprisingly easy to control. Unsurprisingly, the nameplate delivers superb towing specs; drivers can expect up to a 23,100-pound towing capacity (on the 3500HD). Regardless of which engine option you end up choosing, you’ll surely recognize the “heavy duty” aspect of the unmatched 2019 Silverado HD. Besides competitive pricing, customers tend to look for three things in a dealership: inventory, services, and convenience. Fortunately, Carl Black Chevrolet provides all three, emphasizing why they should be your only stop as you’re shopping for pickups in Nashville. The dealership is housing a number of pickups on their lot, providing options for customers operating with any type of budget. When you add in their wide array of car offerings, you’ll surely have some tough decisions to make when it’s time to make your purchase. If you change your mind and decide to opt for a used vehicle, Carl Black Nashville can also hook you up. With a number of used and certified pre-owned vehicles to choose from, you can always find a logical option at this dealership. Carl Black Nashville is focused on helping customers through every step of their car-owning process. That’s why they provide a number of services that will come in handy before and after you’ve made your purchase. The finance department works with the customer to find a payment plan that makes sense for both sides, and they’ll even help out those who may be struggling with poor credit. Meanwhile, the service department will fix up your pickup truck if you come across any issues, meaning you’ll never have to deal with an untrustworthy mechanic. 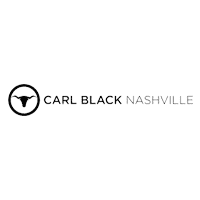 Best of all, you’ll never have to shift around your schedule in order to visit Carl Black Nashville. Rather, the flexible hours means you’ll always have an opportunity to visit the business. The dealership is open seven days a week, allowing you to visit during the weekend. Plus, the dealership is open until 8 pm during the workweek, so you can even initiate your car search after you’ve left work. That way, you’ll never have to stress about your inability to visit during more “traditional” hours, these flexible hours provide you with plenty of opportunities to shop at your own leisure!